The opening of the Arctic Ocean is not a new phenomenon. Last summer, when the Crystal Serenity weaved through Canada’s Arctic maze, it became the first large-scale, luxury cruise ship to transit the Northwest Passage. The voyage made ominous headlines around the world, from the Telegraph’s “The World’s Most Dangerous Cruise?” to Slate’s “The Upside of Global Warming: Luxury ‘Northwest Passage’ Cruises for the Filthy Rich.” It was an unprecedented voyage. And so was the transit, three years earlier, of the first bulk cargo carrier to make it through the passage, the Nordic Orion. Both were hailed as evidence of a new era of Arctic shipping. A new study, however, complicates that narrative. Researchers in Ontario have conducted the first detailed, long-term spatial analysis of shipping activity in Canada’s icy northern waters and their results show that Arctic shipping has been on the rise for longer than many of us realize. Conversely, the research shows that some areas of the Canadian Arctic—including most of the northern route of the fabled Northwest Passage—are still essentially no-go zones. 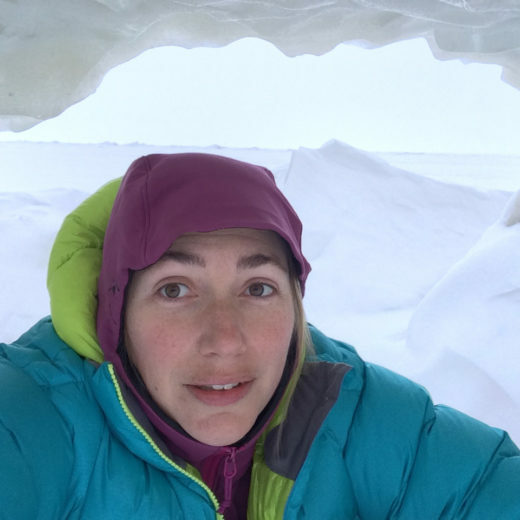 “Up until this point, we didn’t have a long-term record of observed shipping activity in the Canadian Arctic,” says Larissa Pizzolato, the lead researcher on the paper. Her team used new data from the Canadian Coast Guard and ice charts from the Canadian Ice Service. The researchers compared shipping activity against detailed ice charts from the same time period to calculate where and to what extent Arctic shipping has actually been on the rise. They found several shipping hot spots: in Hudson Strait, Baffin Bay, and the southern Beaufort Sea. For instance, the kilometers traveled by ships in Hudson Strait—which runs between the south coast of Baffin Island and the north coast of Quebec, connecting Hudson Bay to the open ocean—more than doubled between 1990 and 2015. They also found that shipping was largely absent from some areas where it is often assumed to be increasing. In Lancaster Sound, the entrance to the Northwest Passage, shipping rates have remained virtually flat across the same time span. “We often hear about the Northwest Passage,” says Pizzolato. It’s the legendary route that European sailors spent centuries seeking out, hoping to find a lucrative shortcut from Europe to Asia. They eventually forged two separate routes through the ice, one that hugs the mainland’s northern coast and one that cuts straight through the high Arctic. But neither one was much use until the ice went into retreat. These days, the southern route is open consistently, but the study found the northern route is not. Pizzolato attributes that difference to the continued presence of hard, thick, multi-year sea ice in the more northerly channels. That’s another takeaway from the study: while the discussion around Arctic shipping tends to be presented in simple binary terms—ice versus no ice—the researchers suggest that it is actually the distinction between multi-year ice and first-year ice that affects shipping activity in a given area. First-year ice is sea ice that has formed over the course of a single season of freeze-up. Multi-year ice forms when first-year ice, rather than melting and re-forming cyclically, survives intact into subsequent freeze-ups, and its strength and thickness is compounded. Even free-floating chunks of multi-year ice, surrounded by relatively open water, can be seriously dangerous. Ships venturing into the Arctic over the past 25 years have tended to avoid the areas where they might encounter those menacing, floating hazards. That means, according to Pizzolato, that while the Arctic is becoming increasingly ice-free and ships are on the move in some areas, regular shipping in the more northerly reaches of the Canadian Arctic is unlikely to be viable for decades to come. Eva Holland is a freelance writer and editor based in the Yukon Territory. She’s a former editor at Up Here, World Hum, and Vela, and her work has also appeared in Outside, Pacific Standard, Smithsonian, the Walrus, Canadian Geographic, AFAR, and many other publications in print and online. Cite this Article: Eva Holland “Arctic Shipping Traffic Has Been Rising for Decades,” Hakai Magazine, Feb 13, 2017, accessed April 26th, 2019, https://www.hakaimagazine.com/news/arctic-shipping-traffic-has-been-rising-decades/. People keep claiming to know when the Arctic will become ice-free. They don’t.